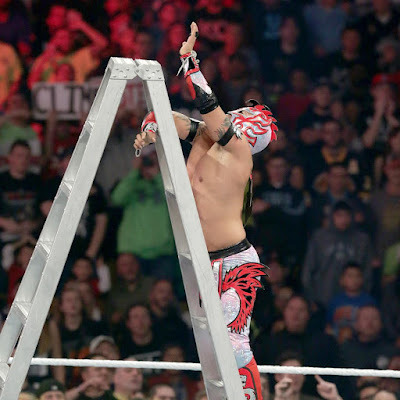 WWE TLC: Tables, Ladders and Chairs 2015 is out on DVD and Blu-Ray now in the UK. You can order here at WWEDVD.co.uk and all other reputable Home Video stockists. Broadcast live on PPV (and on the WWE Network) from the TD Garden in Boston, Massachusetts, USA on 13th December 2015. 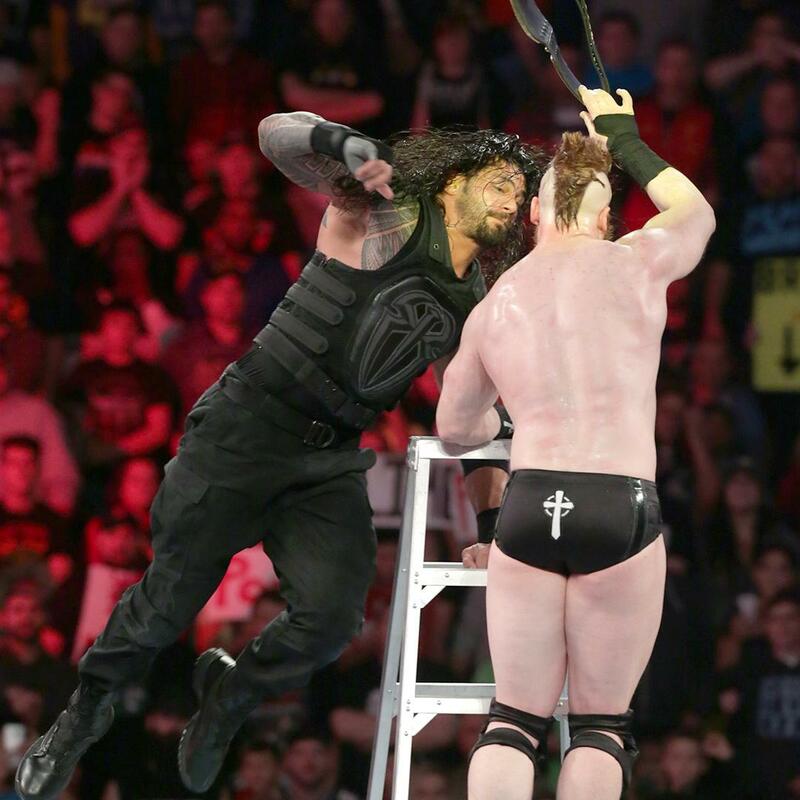 The show features Sheamus defending the WWE World Heavyweight Championship against Roman Reigns in a Tables, Ladders and Chairs match in the main event. The Blu-Ray edition includes either other matches featuring the likes of The Wyatt Family, The Dudley Boyz, The New Day, The Lucha Dragons, Alberto Del Rio, Jack Swagger, Tommy Dreamer, Rhyno and The Usos in prominent bouts. Commentary is provided by John "Bradshaw" Layfield, Michael Cole, Jerry "The King" Lawler, Xavier Woods Byron Saxton, Booker T, Rich Brennan & Kevin Owens. TLC: Tables, Ladders and Chairs 2015 begins with a brilliant three-way ladder match with The New Day's Big E and Kofi Kingston putting the WWE Tag Team Championships on the line against The Lucha Dragons and The Usos. Whilst one particular moment will get replayed for years and years to come, the whole match is choc-full of world-class spots utilising the toys available to produce car crash of a bout, in the very best sense of the phrase. The only let-down for me is flat finish that doesn't come close to matching any of the action across the previous twenty minutes. Rusev and Ryback then put together a decent clash, working surprisingly well together in physical outing. Again the bout is hampering by an overly complicated and theatrical finish. A United States Championship defense for Alberto Del Rio against Jack Swagger produces a strong Chairs match in one of ADR's best matches since returning to the company in October. Lots of sweet looking chair shots and some wonderful selling from ADR makes for pleasant viewing, even if the duo fail to keep the entire crowd involved. 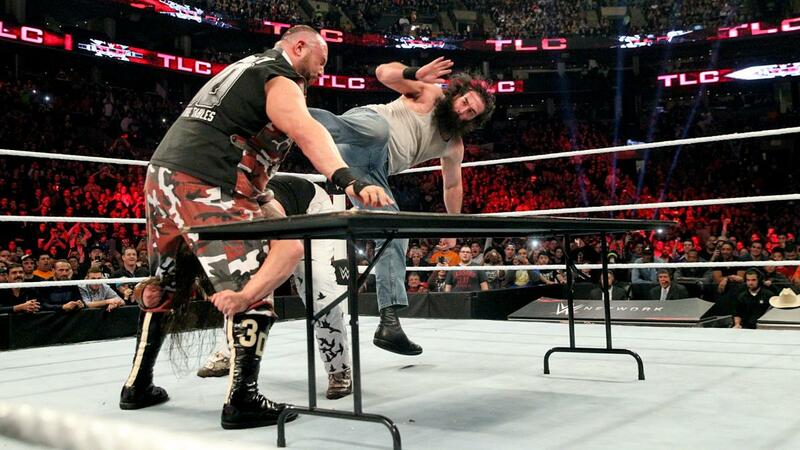 An elimination tables match pitting The Wyatt Family (Braun Strowman, Bray Wyatt, Erick Rowan and Luke Harper) against The Dudley Boyz (Bubba Ray & D-Von), Rhyno & Tommy Dreamer has a few well-timed table spots, but unfortunately ends up being a bit of a drag. Too much mis-communication and a plodding pace mean that it's not exactly a classic. A WWE Intercontinental Championship match between Kevin Owens and Dean Ambrose somehow manages to blend into the background, despite the obvious talent and chemistry of the performers. Perhaps the lack of a gimmick and that it's a least five minutes too short have something to do with that. Charlotte's WWE Diva's Championship defense against Paige is painfully booked at times, but helped from being a complete mess by the talents of the two performers. The duo manage to salvage some good looking moves, and a handful of nice sequences to keep things just about bearable. The main event is, of course, the eponymous TLC match with Sheamus putting his WWE World Heavyweight Championship on the line in a great match with Roman Reigns. The two men make good use of all the weapons, pulling off some brutal spots that drive the story of the clash. Despite this however, I'd recommend watching with the sound off as the crowd, for whatever reason, decide they don't want to see the match and set about trying to turn the attention to themselves. Just like the previous month's Survivor Series 2015, the show closes with a major angle that will drive the storylines of the first few PPV's of 2016 and beyond. Sasha Banks and Becky Lynch combine for a decent match taken from TLC: Tables, Ladders and Chairs 2016 Kick-Off, although obviously the pair have had better matches together elsewhere. The Blu-Ray exclusives begin with a segment featuring The New Day cutting a fun heel promo, taken from Monday Night RAW #1174, although there is a slight lack of direction once The Lucha Dragons and The Usos interrupt. Dean Ambrose, Dolph Ziggler and Tyler Breeze have a fluffy but watchable triple threat with a shot at the WWE Intercontinental Championship on the line from Thursday Night Smackdown #849 in the only Blu-Ray exclusive match. Monday Night RAW #1176 brings us a strange edition of Miz TV featuring Charlotte, Ric Flair and Paige in which The Miz becomes the shining light. From the same show we then have the infamous "tater tots" promo from Roman Reigns in a horrendous in-ring segment with Sheamus, that at best will make you cringe yourself inside out. It's particularly painful to watch Reigns struggling to recall words that clearly he doesn't feel comfortable saying. The disc rounds of with a fun twist on the cliched contract signing from Thursday Night Smackdown #851 with Kevin Owens and Dean Ambrose confirming their match for TLC. 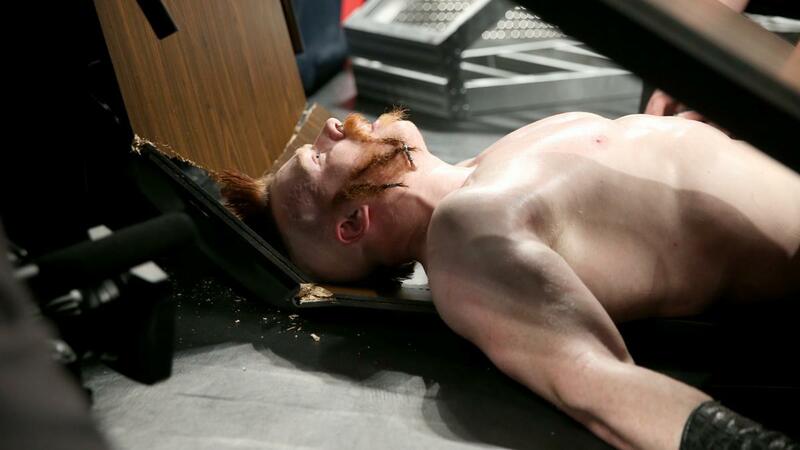 A couple of off-beat finishes aside, TLC 2015 is a bloody good wrestling show. Book-ended by two great ladder matches, the show manages to close out WWE's 2015 events very well indeed. The WWE Intercontinental Championship and WWE United States Championship matches are also worth checking out. However, the Blu-Ray edition loses part of it's rating for a lacklustre selection of Special Features, with the decision to include the Reigns and Sheamus "tater tots" promo being one that I will never understand. No one should have to see it more than once.